Advocates within the human rights movement have had remarkable success establishing new international laws, securing concrete changes in human rights policies and practices, and transforming the terms of public debate. Yet too often, the strategies these advocates have employed are not broadly shared or known. 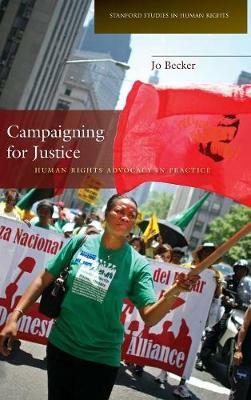 Campaigning for Justice addresses this gap to explain the "how" of the human rights movement. Written from a practitioner's perspective, this book explores the strategies behind some of the most innovative human rights campaigns of recent years. Drawing on interviews with dozens of experienced human rights advocates, the book delves into local, regional, and international efforts to discover how advocates were able to address seemingly intractable abuses and secure concrete advances in human rights. These accounts provide a window into the way that human rights advocates conduct their work, their real-life struggles and challenges, the rich diversity of tools and strategies they employ, and ultimately, their courage and persistence in advancing human rights.